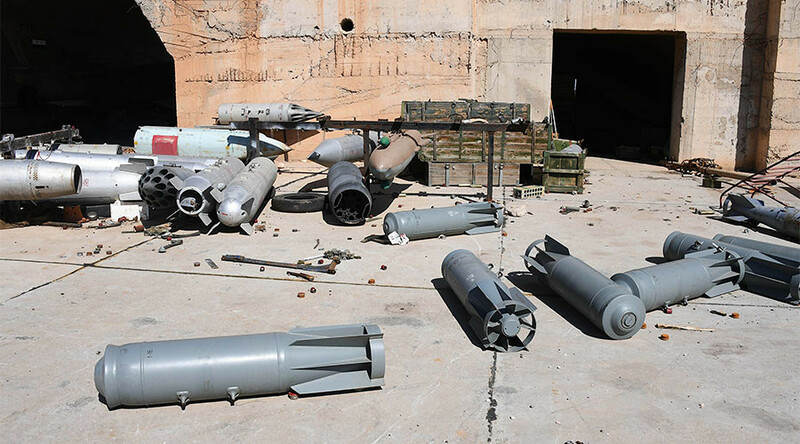 The US fired almost 60 cruise missiles at an airfield of the Syrian army, claiming that it was used to conduct a chemical weapons attack at a rebel-held town in the province of Idlib on Tuesday. Kazakh Foreign Minister Kairat Abdrakhamanov has invited all parties interested in a Syrian ceasefire to attend a meeting on Syria set to take place in Astana from May 3-4. Kazakhstan also urged a wider circle of countries to take part in the ceasefire process, the minister told journalists on Monday. The country is now preparing to host the meeting and waiting for further information from the guarantor-states of the Syrian ceasefire. RT’s Ruptly agency has talked to the wife of a soldier who was killed in the US attack and also to the residents of a village located near the Shayrat airfield who showed the aftermath of stray Tomahawks landing outside their homes. Russia’s decision to suspend a joint agreement signed with the US in 2015 to prevent in-flight incidents in Syria was “the right step,” the Syrian Ambassador to Moscow, Riyadh Hadid, said. The Red Cross has characterized the current situation in Syria as an “international armed conflict” after the US missile strike on Syrian Shayrat airfield near Homs, the ICRC regional spokesperson told RT. The Russian and Iranian top generals condemned the US missile strike in a telephone conversation on Saturday, Iranian IRNA and MEHR news agencies report. Iranian Chief of Staff of the Armed Forces Major General Mohammad Bagheri and his Russian counterpart, General Valery Gerasimov, called the bombardment a “decisive and clear violation against an independent state,” which can strengthen terrorists and impede the fight against them. A thorough and impartial investigation must be launched following the alleged chemical attack in Idlib, which the US cited as the reason for its missile strike, Russian Foreign Minister Sergey Lavrov told US Secretary of State Rex Tillerson in a phone conversation Saturday, Russia’s Foreign Ministry said. Following their conversation over the phone, the two officials agreed to continue the discussion of the Syrian issue during their planned face-to-face meeting in Moscow next week, the ministry added. Russian Foreign Minister Sergey Lavrov has had a phone conversation with his German counterpart, Sigmar Gabriel, discussing the Syrian issue, the Russian Foreign Ministry reported Saturday. Lavrov has underlined the importance of a proper investigation of Friday’s US missile strike in Syria, having “in detail” explained Russia’s stance on the issue to the German politician, the ministry said.